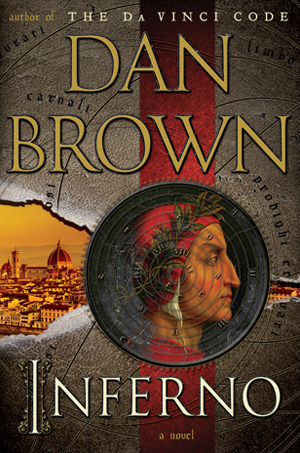 Dan Brown has a special place in my heart. I know he’s one of those authors you either love or you Hate with a capital H. But I personally love him. My reading of The DaVinci code all those years ago turned me on to some of my favorites and stories I’ve read to-date. For me, nothing beats a good, fast-paced thriller with decent to good writing, a great plot with twists and turns, and a historical/literary/cultural center that the whole hinges on. Case in point: Inferno revolves around Dante’s Inferno. I took a class on Dante when I was in college so this was fun shaking some of the dust off and remembering what I learned and adding that to my reading experience. I also enjoyed the villain’s “why” – it’s something I think about a lot and I’m exploring in the book I’m currently writing. I love a good thriller when I’m getting on an airplane/going on a vacation/sitting on the beach/home sick. I was home sick for this book and feeling quite terrible and that’s what escapist reading is all about: allowing you to escape. I don’t much care if I’ve seen it before or if it feels like the same plot as the other books. I just want to be entertained. This is Dan Brown at his best. Some might argue his best isn’t nearly good enough, but it’s more than enough for me.